The Sister Nivedita University has one of the best-in-class infrastructure and facilities on the campus. 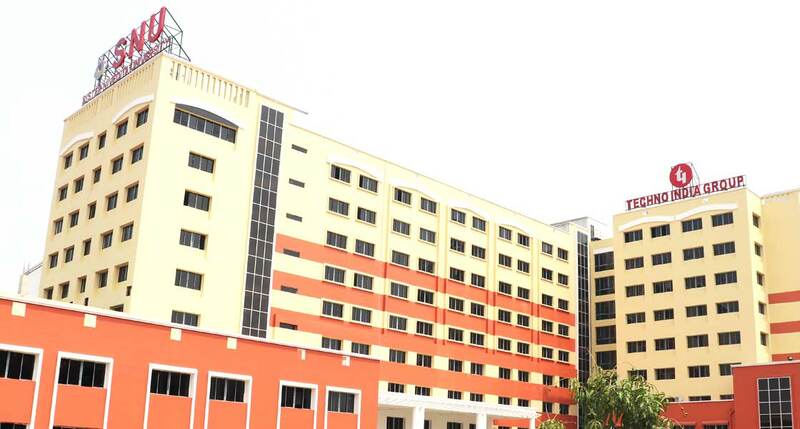 The University is equipped with Electronics Laboratory, Communication Systems Laboratory, Virtual Instrumentation and Signal Processing Laboratory, Dynamics Laboratory and many more which are necessary for the respective departments along with modern computer clusters. These laboratories assist in imparting practical training to students and reinforcing their theoretical concepts. It also makes the University a veritable place for learning and research, while the systematically designed curriculum and qualified dedicated faculty members make it a dynamic place to study. The undergraduate curriculum at SNU also places heavy emphasis on experiential learning and co-curricular activities with all students having to participate in some form of internship, practicum or service learning programme in addition to conducting research both within and outside the classroom/laboratory setting. This provides students a real-world context for their learning along with subject matter expertise and broad-based education. High quality academic programs taught by world-class researchers and teachers. Our real-world approach to research influences our teaching and research supervision. Our broad range of academic offering provides students with opportunities to work alongside industry partners. A beautiful campus with state-of-the-art teaching and learning facilities, and a culture that encourages innovation through strong digital connectivity and industry connectedness. The University smart classrooms are well equipped with ergonomic and sophisticated infrastructure for a wholesome learning environment. Digital learning and smart board are integral features of the University classrooms. The University has well equipped independent laboratories (for example; research lab, computer lab, etc.) to engage the faculty and students to enhance the teaching – learning process through specialised technical and practical training. The University has a beautifully designed air-conditioned Auditorium and Seminar Hall for various events and for celebrating events of national and international importance. Cafeteria/Canteen facility for the students and faculty consists of healthy home cooked items. SNU believes in maintain a hygienic and healthy atmosphere for the children and staff members. SNU offers high quality academic programs taught by world-class researchers and teachers. The faculty members identify the innate capabilities of the students and intensify them with their expertise, making them corporate ready by the time they graduate. The University gives the students a platform to learn, innovate & flourish in their area of interest. Our broad range of academic offering provides students with opportunities to work alongside industry partners. SNU transport services (SNU Bus) have a well planned route covering all the parts of the city. All the buses are equipped with a first aid kit and the students shall be accompanied by a helper throughout the journey. 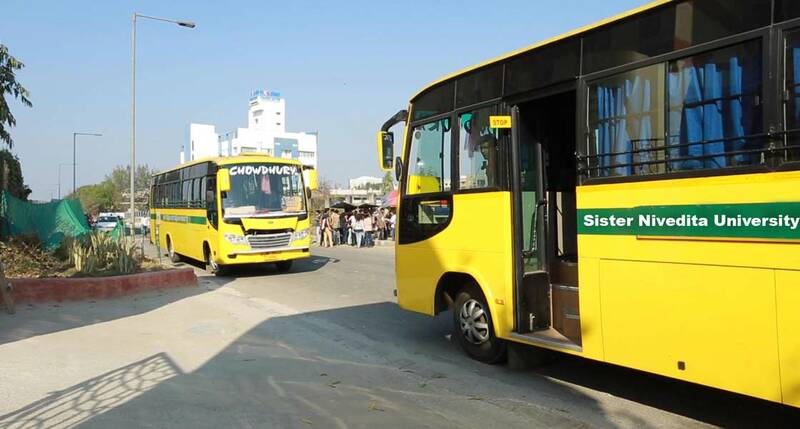 We encourage the parents to choose SNU’s smooth, safe and convenient transport facilities for their children. The primary objective of the administrative department is to provide a safe and secure campus which encourages research led education and promote environment awareness. The medical experts at the SNU Medical Centre include physician, pharmacist, emergency medical officer and other specialists who are specifically appointed to take care of our children at all times. The friendly and qualified staff in a well equipped medical centre is available during term time to track the physical and emotional well being of the students. We acknowledge the need of creating a campus that provides an interactive, healthy, hygienic and academic-oriented environment for the students. The hostels are gender segregated and independent. The entire hostel facility is maintained by professional housekeeping and maintenance agencies. They agency has been deployed for pest control using bio degradable and eco-friendly chemicals that does not hamper the environment. Their work is monitored and reported. A 24x7 security system, using male and female guarding staff is deployed. Students from different backgrounds are treated with respect and dignity at SNU. Library acts as the main learning resource centre of the University. It is an indispensable learning centre for students, researchers as well as faculty members. The library is housed in a state-of-the-art infrastructure and equipped with latest instruments to meet academic requirements. It offers its users the convenient access to the best of books, journals, magazines, eBooks from globally known publishers, e-journals consisting of scholarly contents both in print and electronic round the clock all across the campus. The major focus of the library is to provide online/digital learning resources that will allow users to access them anywhere, at any time. Apart from relevant text-books, a number of books of general value and interest are also available. The students have set-up various clubs to ensure full academic, social and spiritual potential to sustain and nurture the spirit of the university. The clubs encourage students to actively engage in curricular and extra – curricular activities within the campus. These initiatives foster leadership development and compliment classroom learning. The club provides indoor as well as outdoor education through organising workshops, seminars, debate competition, conference and opportunities to explore nature through programs like camps, excursions, trips, etc. The students get exposure to various areas of interest like music, art, craft, sports, etc that in turn bolsters their creative side and promotes the overall cognitive development. It primarily focuses upon enhancing skills and encourages the students to value Integrity and Professionalism to become great change makers for a better tomorrow.